These days most of the smartphone come with fingerprint scanners. But still the pins, passwords and patterns have not become obselete. PINs and passcodes are necessary, you can not open the phone with fingerprint for the first time by switching on the phone. You need a password for this. Many times users forget passwords or patterns. The following ways can prove to be helpful in dealing with such a situation for you. By using email in some smartphones, you can go to Pattern Options. You have to give your Gmail account by clicking here. Write a username here that is used to sync your Google account. After signing in, you will be asked to create a new unlock pattern. However, it is only relevant when your mobile is connected to WiFi. In the absence of internet connectivity, you can not follow these processes. If your smartphone has versions above Android 5.0, then this option is best for you. If you have already checked the Android Find My Device, now you open a Gmail account. For this, your smartphone must be connected to the Internet. Open Find My Mobile from Computer or Laptop. Now you will see the registered device here. If you only have a smartphone listed then here is the name of your device. There will be a lock option in the left. Click on it. Now you will be asked to enter the password. This will be a new password that you remember for further use. Now open your smartphone with a newly created password. Charge the phone and press Power button and the volume up or volume down button, simultaneously. Keep in mind that both or three buttons must be pressed simultaneously for a few seconds. Make sure your smartphone is in switch-off mode. The recovery screen is usually black and you get an option here. You can control it from the volume up and down button. There will be a factory reset option here. To navigate you have to use the volume, because most smartphones here will not be able to work from touch screens. 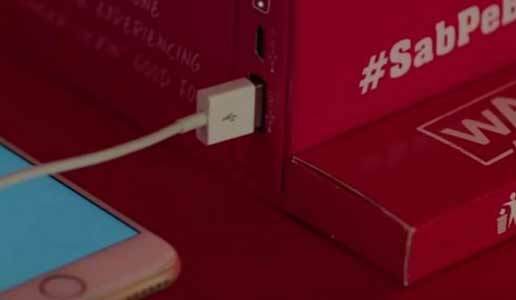 KFC launches 5 in 1 meal box equipped with power bank!